On July 18, 1917, a group of like-minded Chris­t­ian peo­ple, led by the Spirit, met in the home of Mrs. Ella Jones (known to all as Mother Jones) at 320 Sum­mit Street, in the North Cam­den sec­tion of the city. 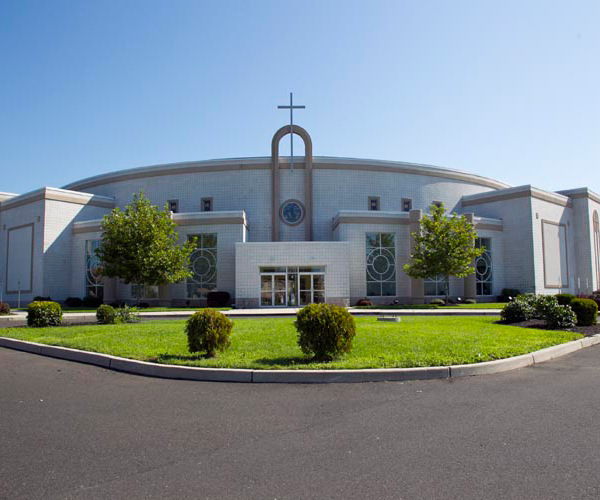 Dur­ing this meet­ing it was decided that they would orga­nize a new church. At the time of this orga­ni­za­tion there were only six (6) mem­bers. The Rev. W.P. Moore was the orga­nizer and first pas­tor who set this new branch Zion on its way. Mrs. Stella Mincey, the daugh­ter of Mother Jones and now deceased, was among that early group of orga­niz­ers and was the first can­di­date. In 1919, the church was offi­cially char­tered at Cam­den City Hall and there­fore incor­po­rated. Soon after this, under the lead­er­ship of Rev. Mr. Moore, the church moved to 960 Fed­eral Street where the accom­mo­da­tions for car­ry­ing out the work of The Mas­ter were more adequate. Like all orga­ni­za­tions and move­ments that per­sist through the years, First Nazarene has had her toils and tor­ments, but the sus­tain­ing power of God has been ever present to sus­tain and keep her to allow her to weather the storm. As The Lord con­tin­ued to add to the church, the build­ing on Fed­eral Street was no longer suf­fi­cient to accom­mo­date the bur­geon­ing con­gre­ga­tion. A com­mit­tee headed by Dea­con Lon­nie C. Mincey, the first to be ordained by the church, was sent forth to secure larger quar­ters. Dea­con Mincey was also the sec­ond preacher to be ordained by the church. Dea­con Mincey pro­claimed that Divine Guid­ance had led him to an edi­fice at 410 Line Street. First Nazarene wor­shiped for many years in that building. Dur­ing the years that the church was located on Line Street, it con­tin­ued to be pas­tured by Rev. W. P. Moore until his pass­ing. The church was then pas­tured by the Rev. C.D. Arm­strong, fol­lowed by the Rev. N.G. Greene, Rev. Dud­ley, Rev. Wim­berly, Rev. H.W. Wat­son and the Rev. Mark O. Thompson. Rev­erend Thompson’s pas­torate of First Nazarene is indeed a great page in the his­tory of this church. There was a tremen­dous increase in the mem­ber­ship of the church dur­ing his min­istry, and soon the build­ing on Line Street was no longer suf­fi­cient for its many mem­bers. The Sheppard’s Hall at 438–40 Stevens Street was pur­chased and on the third Sun­day in April of 1937, it became the new house of wor­ship for our con­gre­ga­tion. Thus for twenty-seven (27) years it was our home of spir­i­tual train­ing, guid­ance and ful­fill­ment for our many parishioners. In the lat­ter years of Rev. Thompson’s min­istry, the church suf­fered a split. The coura­geous efforts of the remain­ing offi­cers and mem­bers kept the church mov­ing for­ward. In July of that same year, a young man, The Rev. R.F. Dev­ereaux, then pas­tor of the Ever­green Bap­tist Church of Palmyra, New Jer­sey, was called to fill the pul­pit here at First Nazarene. Rev. Dev­ereaux, a pow­er­ful and ener­getic preacher, was one of Camden’s great­est Gospel preach­ers. Those who were there and can remem­ber are wit­nesses that First Nazarene has been pas­tured by some of Camden’s most soul-stirring preachers. Many accom­plish­ments were achieved dur­ing Rev.Devereaux’s tenure. Among them were the burn­ing of the mort­gage on the church prop­erty in 1942, thereby clear­ing the church of all of its indebt­ed­ness, the com­plete ren­o­va­tion of the build­ing, the pur­chase of a pipe organ which cost more than $2,000.00, and new pews cost­ing nearly $1,400.00. Also, dur­ing this period, more than 200 new mem­bers were added to the church. In Sep­tem­ber of 1949, Rev. 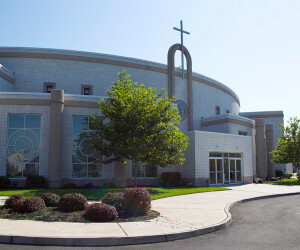 Dev­ereaux was called to pas­tor the New Thank­ful Bap­tist Church of Philadel­phia, Penn­syl­va­nia. Again, the pul­pit at First Nazarene was vacant, but not for long. On the first Sun­day in Novem­ber of 1949, the Rev. Ethridge Williamson, Sr. preached his first ser­mon as the new pas­tor of the First Nazarene Bap­tist Church. Call­ing Rev. Williamson as pas­tor was unique in many ways. First, he was a young and inex­pe­ri­enced min­is­ter and he had never served as a pas­tor prior to this call­ing. Besides this, he was a mem­ber of First Nazarene and had been since the early days of his youth. Rev. Williamson had been bap­tized by the Rev. Mark O. Thomp­son in May 1931. He received all of his early reli­gious train­ing and inspi­ra­tion here, although dur­ing that period he had no thoughts of enter­ing into the min­istry. His father, Mr. Ben­jamin Williamson was a dea­con at First Nazarene for forty (40) years. His mother, Mrs. Sarah Williamson was Pres­i­dent of the Dea­coness Club in its for­ma­tion in 1956. The youth and rel­a­tive lack of expe­ri­ence of Rev. Williamson were no seri­ous obsta­cles to him. He was nat­ural and God gifted leader. The growth and progress of the church again neces­si­tated the con­gre­ga­tion to seek another larger build­ing. The sta­mina and faith of the mem­bers work­ing with Pas­tor Williamson led the church to take on the noble adven­ture to, for the first time, start the con­struc­tion of the first brand new church home for First Nazarene. In 1964, the Lord allowed First Nazarene to march into our new edi­fice located at 1476 South Eighth Street. One needed only to observe this beau­ti­ful new House of Wor­ship erected at the cor­ner of Eighth and Fair­mont Streets that mate­ri­al­ized dur­ing Rev­erend Williamson’s min­istry to real­ize his lead­er­ship qual­i­ties and ability. Under the pas­torate of Rev. Dr. Williamson, many souls were brought to Christ. Dur­ing his min­istry sev­eral groups were formed, includ­ing the Schol­ar­ship Club, the Young Adult Usher Board, Wel­come Com­mit­tee and the Dea­coness Club. In 1974 we had the Burn­ing of the Church Mort­gage. The church pur­chased an elec­tri­cally pow­ered print­ing press, began our duplex offer­ing sys­tem and pur­chased a Life Mem­ber­ship in the NAACP. Later in 1974, the Lord called home His ser­vant, The Rev. E. Williamson, Sr. For two and one half years, Dea­con Henry Som­merville, Chair­man of the Fel­low­ship of Dea­cons and other offi­cers cared for this flock. In Novem­ber of 1976, The Rev. John A. Jones of Wash­ing­ton, D.C. was called as Pas­tor. Under the lead­er­ship of Pas­tor Jones First Nazarene oper­ates its Spir­i­tual Hos­pi­tal. Under his Pas­torate the First Nazarene Bap­tist Church has had con­tin­ual spir­i­tual growth and Chris­t­ian Fel­low­ship. We con­sider Nazarene not a church, but an expe­ri­ence, where the Word of God comes alive. There were many improve­ments made to the phys­i­cal struc­ture of our House of Wor­ship under the lead­er­ship of Pas­tor Jones. A new ceil­ing was installed and the Pul­pit area and choir loft were enlarged. A new air con­di­tion­ing sys­tem as well as a new audio and com­puter rooms were installed. The church also pur­chased the garages adja­cent to the church and land across the street in hopes of pro­vid­ing addi­tional park­ing facil­i­ties. First Nazarene pro­vides ser­vices to the com­mu­nity through Sun­day School, Wednes­day night Prayer Meet­ing and Bible classes, Sun­day wor­ship ser­vices and Vaca­tion Bible School. For the advance­ment of our Out­reach Pro­gram, Pas­tor Jones can be heard preach­ing the Word of God on Sun­day morn­ing radio dur­ing the Nazarene Hour which airs on WTMR Radio 800 on the AM dial, in order to spread the Word to those who are sick, shut-in or incar­cer­ated. This pro­gram runs from 9:00 am to 10:00 am. Cas­sette tapes, CD’s andDVD’s of all ser­vices are avail­able for purchase. Pas­tor Jones has led First Nazarene to reach out to the youth of our com­mu­nity by “adopt­ing” and sup­port­ing our com­mu­ni­ties schools, includ­ing Cam­den High School, Woodrow Wil­son High School, The Med­ical Arts High School, The Cre­ative Arts High School, The Riletta T. Cream Fam­ily School and Sum­ner Ele­men­tary School. Pas­tor Jones also believes in sup­port­ing our community’s pro­tec­tors, the Cam­den City Police and Fire Depart­ments and EMT Ser­vices. He has also been named an hon­orary chap­lain to the New Jer­sey State Police. As First Nazarene con­tin­ued to grow under the dynamic and prophetic lead­er­ship of Pas­tor Jones, the need to expand our facil­i­ties again became evi­dent to the church and an ambi­tious build­ing fund project was ini­ti­ated. A con­scious deci­sion was made by the enthu­si­as­tic con­gre­ga­tion to stay rooted within the com­mu­nity in order to con­tinue to uplift the com­mu­nity of Cam­den spir­i­tu­ally, as well as mate­ri­ally. In August of 2005 a ground break­ing cer­e­mony was held to start con­struc­tion of a new church building. Then on Feb­ru­ary 2007, after much prayer and sup­pli­ca­tion, The Lord allowed First Nazarene Bap­tist Church to march from our old home at 1476 South Eighth Street into a beau­ti­ful new edi­fice and sanc­tu­ary located a block and a half away at 1500 South Eighth Street. Giv­ing, mis­sions and com­mu­nity out­reach con­tinue to be hall­marks of First Nazarene under the lead­er­ship of Rev. J.A. Jones. Believ­ing in the scrip­tures that says “faith with­out works is dead” the church ini­ti­ated the Com­mu­nity Bread Bas­ket Min­istry which pro­vides food and gro­cery items to local fam­i­lies in need, the Prison Min­istry for those who are incar­cer­ated, and Com­mu­nity Evan­ge­lism min­istry to spread the Word of God and hope to those with­out hope. As our 100th anniver­sary becomes vis­i­ble on the hori­zon, First Nazarene con­tin­ues to be a grow­ing, vibrant and spir­i­tu­ally directed com­mu­nity of believ­ers “Where the Word of God Comes Alive”, look­ing to make a sig­nif­i­cant and last­ing impact in our com­mu­nity and our world through the advance­ment of the Gospel or Good News of our Lord and Sav­ior Jesus Christ!